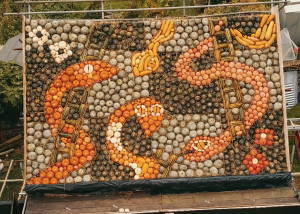 The late Ralph Upton grew pumpkins in Slindon for over 40 years and his autumn display attracts visitors from around the world. 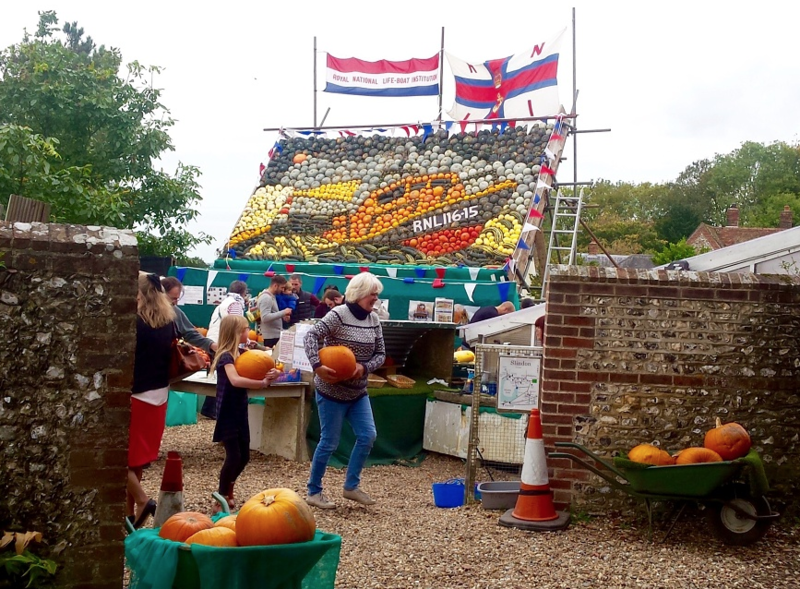 From September to November (peaking around Hallowe’en) the barns adjoining his former home in Top Road Slindon are festooned with a display created from 50-plus varieties of pumpkin and over 30 varieties of squash. 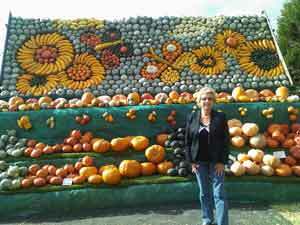 The range of sizes, colours and shapes is extraordinary with additions every year. Ralph and his wife Barbara also wrote a book of recipes to accompany the crop, and their own favourite was a thick creamy soup made from the beautiful blue-grey Crown Prince squash. 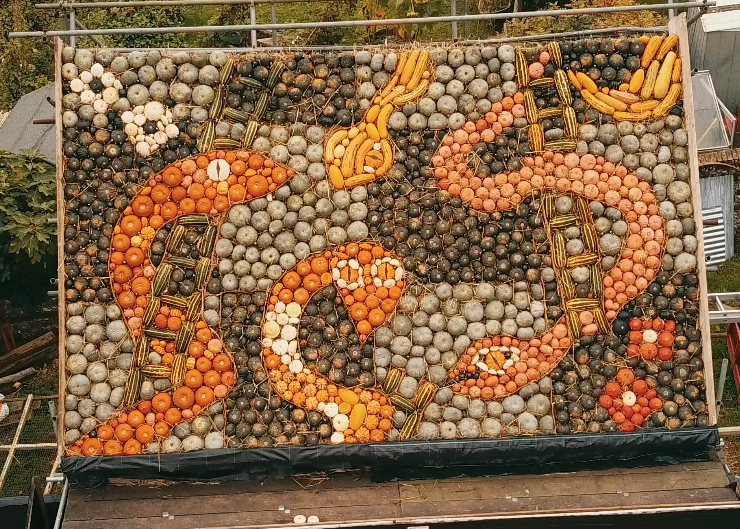 Following Ralph Upton’s sad demise, aged 87, in June 2009, his son Robin and Ralph’s loyal team have kept his tradition alive and preserve Slindon’s reputation as Britain’s pumpkin capital. IMPORTANT – The pumpkin festival is incredibly popular especially during half-term week and the weekends leading up to Hallowe’en (31 October). PLEASE, PLEASE PLEASE park with consideration and don’t block driveways etc. and remember that emergency vehicles still need to get through our narrow village lanes. It is often best to park in the National Trust Car Park in Park Lane and walk up (it’ll stop you getting blocked in as well as help avoid grid-lock in the village). We hope to improve parking arrangements in 2018 – watch out for updates and look for signage in the village.